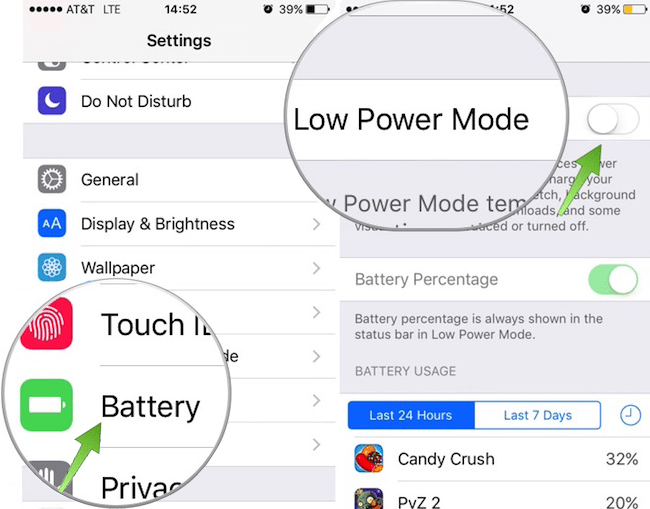 Apple as expected, introduced a new feature in iOS 9 named “Low Power Mode”. 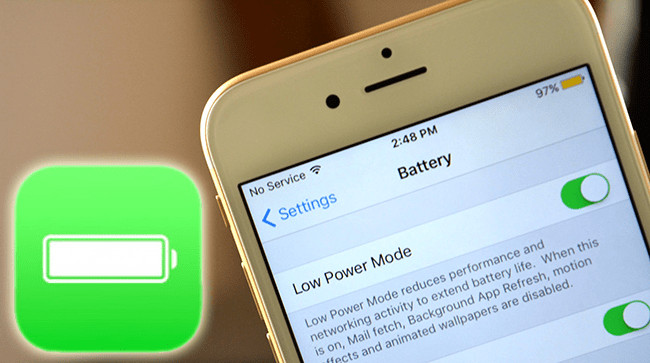 This article shows how to turn on low power mode and utilize it on an iPad or iPhone to gain three hours extra battery life. Apple announced the new iOS 9 in June 2015, and released it in September 2015. They fulfilled all claims they made during the launch presentation, such as bringing enhanced photos function, improved Siri technology and Low Power mode. Among these, Low Power mode is the most fascinating feature. In this modern world all the tasks we perform are related to our smartphones directly or indirectly, but we have a big problem to deal with; the drainage of battery. 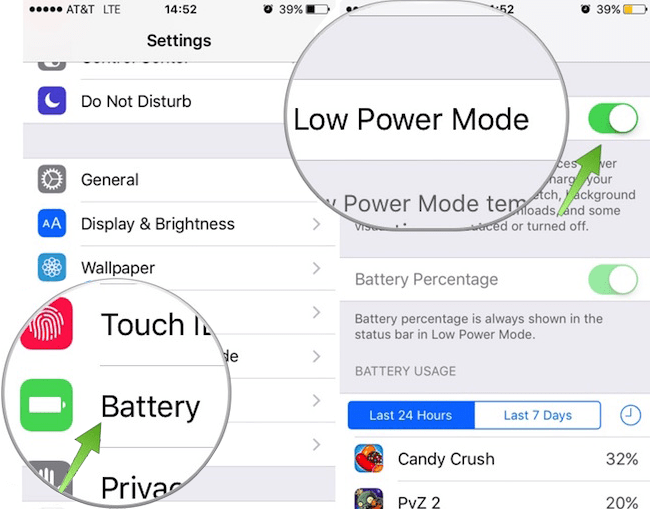 Apple understands this issue pretty well, and therefore it introduced a Low Power option in iOS 10 or iOS 11. By activating this mode, you can gain three hours of extra battery life. If you don’t know how to activate this option, keep reading. According to Apple’s claims, the feature can extend the battery life of your device running iOS 10 or iOS 11 by three hours. Given the fact that this firmware takes less space on your smartphone, the extra three hours is a great advantage for any iPhone user. Go to the Battery option (below Touch ID and Passcode). Now turn On “Low Power Mode”. Now you should see a yellow battery indicator – the battery on your device should be colored in yellow. If you see this indicator, the low power mode is turned on. Start the Settings app on your device. Look for the “Battery” option from the menu. Now Turn Off “Low Power Mode”. It’s a complication situation, however, because when you activate this mode, many background apps do not work anymore. The list includes motion effects, animated wallpapers, mail and app research. But this is the logic – less processes is equal to more battery life and more time before you charge your iPhone with a charger. At the moment, almost all phone companies are trying what they can to provide consumers with the maximum battery life, because it is a vital feature for increasing their sales. Apple has time and time again led the innovation race, and the Low Power Mode is a welcoming feature for iDevice users all over the world.